The Sovereign Pest Control Service Plan will protect your home from ants, carpenter ants, roaches, spiders, crickets, camel crickets, mole crickets, centipedes, millipedes, scorpions, silverfish, clover mites, earwigs, mice and rats. This comprehensive service plan is both effective and affordable. The plan includes an inspection and a preventative service from a highly trained technician each year. If you have an infestation from a covered pest during the service plan period, a Sovereign technician will treat the infestation at no additional charge to you. 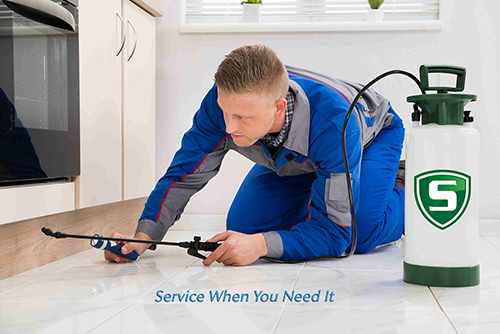 Sovereign offers a 100% Money Back Guarantee with its Pest Service Plans and Platinum Pest Service Plans and, for your convenience, we schedule Exact Time appointments. For more details, watch the video below or call us today at 866-430-9801 for a free quote!